The Beatles may have sung that you can’t buy love, but luckily for marketers, consumers disagree. No wonder U.S. shoppers spent $17.3 billion on Valentine’s Day gifts alone last year, plus more on fancy dinners, romantic trips, and other signs of love. But these shoppers aren’t only men seeking a dozen roses. Now, the buying market is much broader and the range of gifts is much wider. Yet this also means that the competition is much hotter than ever as many more brands and retailers pursue these holiday shoppers. When love is in the air, sales are bound to follow, so marketers must create campaigns that catch the eye and earn the sale. Luckily, Marketingland.com is giving brands the gift of some online marketing strategies for Valentine’s Day designed to sweeten sales. If you think that only men are shopping for Valentine’s Day gifts, think again. Women are also purchasing presents, yet for very different reasons. Men mostly use the heartfelt holiday to buy gifts for romantic reasons, but women view this day of love as a time to show their family, friends, and significant others how much they care. Women also buy for themselves! And women tend to make multiple purchases of a broader range of products. So to ensure that your brand reaches all potential audiences, you need to identify your target market so you can tailor your message correctly, but also create online marketing messages that appeal to both men and women. Optimize your website navigation to ease and expedite all browsing and buying for shoppers. Make it easy to find products, check that links lead to the proper places, spotlight special values, and clearly place promotions. To capture each consumer, offer mobile-only offers to people on the go, as well as helpful guides for last-minute shoppers and those who don’t know what to give. To showcase your products in the right light, to the right shoppers on publishers’ websites, consider how your offerings will fit in with their site and audience. Ensure that your gifts are included in every relevant category and appear in all pertinent search results. Publishers’ websites are prime real estate around the holidays, so your brand must compete for top placement and promotion. Reserve email inclusions in publisher newsletters as early as possible to ensure that your products are featured above the fold for the most exposure. Incentivize publisher websites to spotlight your products above your competitors by offering higher commissions on those featured products. Plan your promotional calendar by first figuring out when consumers will be shopping for Valentine’s Day. Last year, data revealed that February 10 was the best converting day for food and beverage brands, but February 11 produced the highest conversions for gifts overall. And February 12 was the peak period for sales on mobile phones and tablets. Let the day of the week that Valentine’s Day occurs drive your entire product and promotional strategy. Marketers must guide the buying timeline to ensure that they aren’t fulfilling orders all at the same time. For instance, strongly suggest that shoppers send gifts ahead of the holiday so they can be enjoyed all week long. Incentivize this early buying behavior and pre-holiday delivery with special promotions and savings. Also spread out your purchase and delivery cycles by collaborating with publisher websites to offer exclusive promotions on specific days leading up to the holiday. Collaborate with partners and publisher sites to develop the best sales strategies to strengthen your relationships. 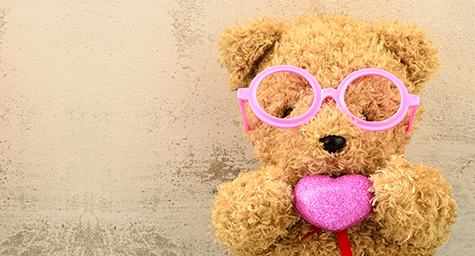 Valentine’s Day is a time when consumers are looking to buy, so follow these online marketing tips to make sure consumers look your way. Discover online marketing strategies you’ll love. Contact MDG Advertising. MDG Advertising, a full-service advertising agency with offices in Boca Raton and New York, NY, is one of Florida’s top branding firms. MDG’s capabilities include print advertising, direct mail marketing, branding, logo design, creative, digital marketing, media buying and planning, radio and TV advertising, Web design and development, online video advertising, infographic development, email marketing, content marketing, lead generation, social media marketing, and SEO. For the latest trends in advertising and branding, contact MDG Advertising.